Two Castles race organiser Philip Southwell with Richard Thornton from Blythe Liggins Solicitors and Kenilworth Rotary Club president John Boothroyd. Organisers of this year’s Two Castles run from Warwick to Kenilworth say that 100 places are still up for grabs. The soaring popularity of the annual event – which attracts 4,000 runners – has seen organisers move to a ballot system for the first time in the event’s history. However, unlike the previous ‘first come, first served’ online application system, where all 4,000 entries went within three hours last year, response to the ballot for the run on Sunday, June 11 has been slow. 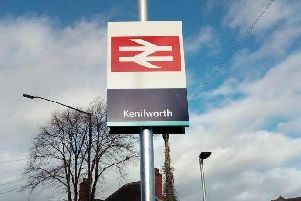 Bob Kelly, press officer for organisers Kenilworth Rotary Club, said there had been calls for the entry system to be made fairer with everyone having a chance to obtain a place. “I think that the online registration concentrated people’s minds on the need to act quickly, whereas the longer period for the ballot took the urgency out of applying and caused some people to ‘put it off until tomorrow’ – or even next week! “Currently, anyone who registers in the next few days will get a place. Runners are also advised to put their names on our waiting list as more places will inevitably become available as there are always cancellations between registration and the big day. This will be the 12th consecutive year that the Two Castles – which is also supported by Leamington Cycling and Athletics Club - has been sponsored by Leamington law firm Blythe Liggins, who will also be fielding a team of runners as well as a drinks station and marshals.